Our Ajax optometrists specialize in understanding how the human eye really works, as well as diseases and conditions that affect your vision – many of which do not have obvious symptoms. Our eye doctors in Ajax know how age and risk factors affect vision over time for young and old, and they understand the benefits and features of corrective lenses including eyeglasses and contacts. So, if you’re looking for an Ajax optometrist near you, look no further than Ajax Family Eye Care! Dr. Sameer Patel has extensive clinical experience in pediatrics, ocular disease, binocular vision, geriatrics, contact lens fitting, low vision, pre and post-operative care for LASIK and cataracts and primary care optometry. His interests in the field of optometry include pediatric optometry, diabetes and macular degeneration, computer vision syndrome, contact lens fitting and sports vision. He earned his Doctor of Optometry degree at Nova Southeastern University and his Honours Bachelor of Science in human biology at the University of Toronto. While at Nova Southeastern University he also earned a second Bachelor of Science degree in Vision Science and received the Module Director’s Award for clinical excellence in the area of primary optometric care. Dr. Nina Gupta has extensive clinical experience in pediatrics, ocular disease, binocular vision, geriatrics, contact lens fitting, pre and post-operative care for LASIK and cataracts, and primary care optometry. Her interests include ocular disease prevention, computer vision syndrome, dry eye, nutrition, glaucoma and pediatrics. 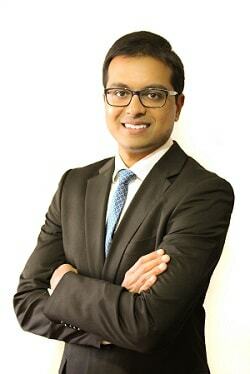 Dr. Gupta is an active member of the College of Optometrists of Ontario and the Ontario Association of Optometrists. 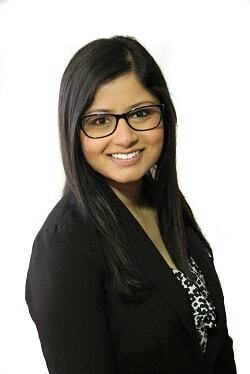 She is passionate about keeping eyes healthy and is proud to be serving the Ajax community.